You want to know my biggest fear about being an expat is? That the longer I stay away from Australia, the more difficult it is to move back home. I am endlessly torn between whether our kids are better off as expat children, being born and raised across different parts of the world, or if they should be raised back at home, living the simple Aussie life. Either side seems to have so many negatives and positives, and I still haven’t decided which is better for us. When I am in Jakarta, I appreciate so much of what we have, especially the ability to have one parent staying at home to raise the kids. This is a luxury because back at home, my husband and I would both have to work to support our lifestyle. I love the great schools in Jakarta and the extracurricular activities that they can participate in because it’s more affordable, more available and easier to go to (because I have nannies and drivers to help get them around.) I love that my kids speak Bahasa, think that the call of prayer from the Mosque is normal and don’t blink an eye seeing woman wearing hijabs. I love this diversity and natural tolerance that my children have formed by being exposed to so many different things from an early age. But the minute I leave Jakarta and step foot into Australia, I instantly feel like I’m letting my children down by raising them outside of our beautiful country. 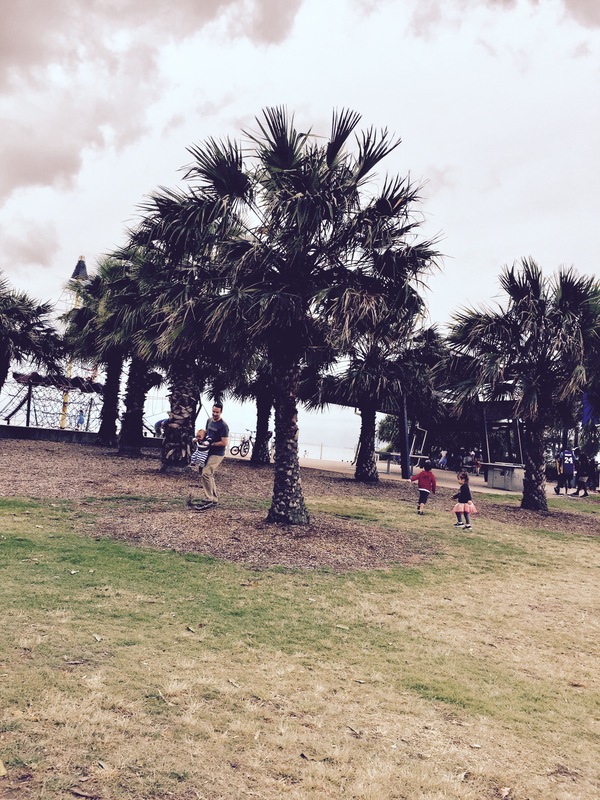 The first thing we did as a family in Australia was go to a park. It immediately felt like ‘this is where we belong!’ Being able to walk around freely, not feeling like we’re an outsider, which we often feel as expats in Jakarta because of our obvious different appearance. Walking around with other families who are just like us, with the same culture, same upbringing and morals. Seeing all of the outdoor sports and great Aussie athletic lifestyle, with kids on paddle boards, parents dinking babies on bikes and families playing footy. It all just feels like home to us and what’s right for our family. But later that night when we went out for a walk, it didn’t feel like home anymore! It was a quiet Sunday night and the street felt like a ghost town. There was complete silence in the air with no cars, or people. We suddenly missed Jakarta and all of its hectiness! We missed the busy night life, the noisy traffic and endless street food vendors. We missed the heartbeat of Jakarta and immediately thought, we could never move back to Australia! This is the predicament that I am in. I have one foot in Australia and one foot in Jakarta. I can never completely live wholly in either country and sometimes feel like a stranger in both.